Women Leadership panelists talk about what they wish they would have known when first starting their careers. 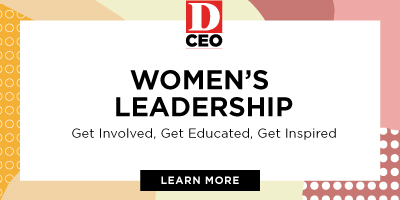 As part of its Women’s Leadership initiative , D CEO recently hosted a panel discussion featuring College Football Playoff’s Gina Lehe , data center CEO Liana Dunlap , and marketing guru Noelle LeVeaux . The three women, each a mother of two daughters, shared insights on career strategies and how they juggle their professional and personal lives. We’re recapping the discussion in a three-part series. In this first edition, the panelists talk about things they wish they would have known when; their answers may surprise you. D CEO: Our mission is to tell the stories of people leading North Texas companies and organizations. So, let’s start by hearing your stories. How did you get into what you’re doing today? GINA LEHE: I’m entering my 22nd college football season—that’s how I measure my life. I got into the profession accidentally. There was an ad in my college paper for a job; I didn’t read the entire post. I just saw the word “basketball,” which was my first love. I applied for the internship and got the job. I was so embarrassed to admit that I didn’t read the actual description of the position, I accepted it and started my career in college football. I interned while I was in college and was fortunate to be hired full-time after I graduated from the University of Arizona. I then made my way to Pasadena and worked for the Rose Bowl and eventually found my way to Dallas, working for the College Football Playoff, which is based in Irving. I will have been here for five years this fall. I’ve always been very passionate about sports. My father was a referee and P.E. teacher and coach. Later in life he would joke about the fact that his son works in fashion and his daughter works in sports. NOELLE LEVEAUX: It’s the Modern family. LEVEAUX: Like Gina, my career path was accidental—or just the way it was meant to be. I have a math degree, but I’ve spent the past 25 years in marketing and communications. If there’s left brain and right brain, I like to joke that I’m whole-brained. I graduated from Spelman College in Atlanta, Georgia. (I am of the class of Stacey Abrams; she was our class president.) I went to work for a bank in Delaware; I was in the management training program. I’ve been in Dallas for 24 years, which is crazy. I didn’t think I would be here longer than three. But, accidents happen. I worked for MBNA for 13 years, then I started Dress for Success. I wanted to volunteer and searched for a Dress for Success and found there wasn’t one in Dallas, so I started one. I then worked in marketing and advertising for Children’s Medical Center, then moved to what’s now called Visit Dallas. I was chief marketing officer and launched the “BIG” campaign and had a whole lot of fun, then got breast cancer in December 2014. Through that journey I decided that working every day for someone else was not something I wanted to do for the rest of my life. I wanted to focus on things that really meant a lot to me. So, I started my own marketing company. Last year, an opportunity came to me: the chance to lead an organization in Dallas that helps single moms who are in college. It’s a hand up, not a hand out. I’m very excited about this new venture. LIANA DUNLAP: I’m in IT and I have been for my entire career, just various roles within the space. It has been great, because I’ve been able to watch IT evolve into what it has become today. My stepdad was a writer, and when I was in high school, he got us a computer for our home. So, I started very early on, back when everyone still used floppy disks, and I just took it from there. Eventually, it led to an opportunity at CompUSA. The company was based here in Dallas, but I was in Southern California, working on the retail floor, selling 286s and other computers. The internet did not exist back then, but I started thinking about what goes inside a computer and how networking works, and all of that. I worked my way up within CompUSA and— it’s funny how things happen in our world—I lost my job. I was in operations management, and a young lady came to me and told me she was being harassed by our boss. I reported it and, as a result, I lost my job. Sometimes you have to do the right thing, even if you pay the price for doing so. In my case, thought, it turned out to be a big gift. Because it created an opportunity for me to stop and figure out what I wanted to do. I noticed a lot of men were taking courses in Microsoft and learning to become systems engineers. I thought, “I’ve done the retail, I’ve done operations, I know how things work generally, let’s dig in even deeper.” I earned my MBA at night and took system engineering classes during the day. Ultimately, I was able to work for Disney and other global groups, doing things like helping them consolidate what they were doing in IT at the time. I eventually started my own business, and relocated it here to Texas following an acquisition of another company. D CEO: You’ve all achieved tremendous success. But what do you wish you would have known back when you were starting your careers? DUNLAP: This may not be a popular response, but my advice would be to move more. I don’t mean move just to jump around in your career, but once you get a feel for a certain position or even a certain company, make a move. My biggest career moves came when I changed companies. I think it’s important to get to know the position that you’re in—master it, if you can—but don’t be afraid to take risks. I wish I would have physically moved more. Just given where we’re at right now and what’s happening in the world—besides the fact that this is the best time to be alive ever—make your moves, take your risks. LEVEAUX: I knew very little when I was getting into the corporate world. My parents were teachers; my dad was a high school principal. I grew up in a small town outside of Chicago called Deerfield. With my math degree, I was recruited by banks. I flew to New York and went to interviews, and I wore a red dress. This was the 1990s, and I’m sure they were expecting me to come in wearing a suit. I wore a red dress that tied in the back. I had no idea what I was doing. Still, for every interview, I got a job offer. So, my advice is that it’s OK to not know exactly what you’re doing. As a matter of fact, I think there’s something extremely authentic about it. In one interview I was asked, “What are your goals?” And I said, “I want to get married and I want to have children.” I was clueless. But maybe it was endearing. The greatest value might be what you don’t know. Just lean into that and take advantage of the opportunities it might create. LEHE: I grew up in a poor family, but we lived in one of the most beautiful places in the world, the Monterey Peninsula in California. In college, when people learned I was from there, they assumed I was wealthy, which was quite the opposite. My parents were fiscally irresponsible. I never learned the value of saving money. I started working very early so I could afford to have things. But I didn’t have financial role models, so I never saved any of the money I made. When I did my first internship, I worked for free. I wanted the experience. About a month and a half into it, my boss gave me and another intern a $300 bonus. And you would have thought I had hit the lottery! From that moment on, I have always considered myself rich. But I didn’t know how to manage my money. I’m fortunate that I met my husband who is very financially responsible; he grew up in a family where it was talked about from a very young age. He not only pulled me out of debt, he taught me how to pay off my house and credit cards. I don’t have debt now, and I would not be here today if it weren’t for him. Those of you who follow sports may have seen ESPN’s 30 For 30 series called “Broke.” It’s about professional athletes who were paid millions of dollars but went bankrupt. My husband and I watched the show together; it was a topic on which we couldn’t be further apart. He got frustrated, wondering how the athletes could have squandered all of their money. But I could relate to it. It wasn’t the scale of my life; I’m never going to have millions and millions of dollars. But these players never had anyone who taught them how to save and what it means to have value in what you’re making. I think it’s something we should be teaching in high school to kids in general, and women in particular. Being fiscally aware also comes into play in the workplace. I never truly understood or fought for my value as an employee. I didn’t have financial confidence within me, and being a woman in sports, I would find myself always apologizing or saying thank you or being overly grateful for the opportunity to work in the industry. I’ve had to learn to go in and fight for myself financially. Once you get into the workforce, know what your true value is and push for it. And if you don’t know about finances, sit down with someone and let them talk you through it. Be watching for Parts II and III of this panel, in the coming weeks online at Dmagazine.com/business-economy/.